The Newsgathering department is at the heart of BBC News. 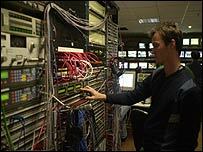 It provides live coverage and news reports to all television, radio and interactive BBC News outlets. It is the world's largest broadcast newsgathering operation with 41 international bureaux and seven across the UK and Ireland. In 2002 we reported from more than 150 countries. The vast majority of Newsgathering's 600 staff are journalists. They are the correspondents you see and hear across BBC News services and the crews and producers you don't see arranging and putting the output together behind the scenes. Newsgathering correspondents and production staff are divided into specialist areas to ensure authoritative and informed journalism across all aspects of the news. These areas are: home and legal affairs, education and social policy, culture, science and environment, health, community affairs and royal coverage. Correspondents are trained to produce reports across a range of programmes and media. There are also teams working in bureaux across the country in Northern Ireland, Wales, Scotland, North of England, west of England and the Midlands bringing stories from all the nations and regions of the UK. The Economics and Business Centre produces 10 hours of business programming a day including Wake Up to Money and the Financial World Tonight on radio and BBC Two's Working Lunch and World Business Report for BBC World. International coverage relies mainly on the network of more than 40 international bureaux around the world. 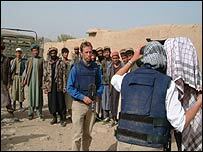 This part of Newsgathering is the main provider for our global news channels: World Service Radio and BBC World. There is also the World Affairs Unit in London - based in Television Centre and Bush House - where specialist correspondents and producers provide a global perspective on world events. This unit houses around 25 London-based world affairs correspondents as well as producers and researchers. The resources and development team is responsible for negotiating and managing all of Newsgathering's resources deals in the UK and throughout the world - from shoot/edit crews and editing to fibre optics and satellite transponders. The team also looks after the infrastructure of the overseas bureaux and is responsible for making sure the department identifies and makes full use of the latest newsgathering technology.